Pianos are essentially the Holy Grail for moving companies when it comes to some of the most difficult pieces they can be faced with. They can weigh in excess of 1000 pounds, and potentially be worth tens of thousands of dollars. Fortunately, 2 College Brothers has a designated Tampa piano moving team, that has moved countless pianos over the years. We also have one million dollars in insurance, enough to cover just about any piano! There are many different sizes and styles of pianos, ranging from concert grand pianos, to smaller upright spinet pianos. Each type has a specific method, and requires different equipment, skill level, and varying amounts of man power. When selecting a moving company to move your piano, it is important to make sure they have experience, and the management is aware of the different methods to make sure your piano gets the proper attention. 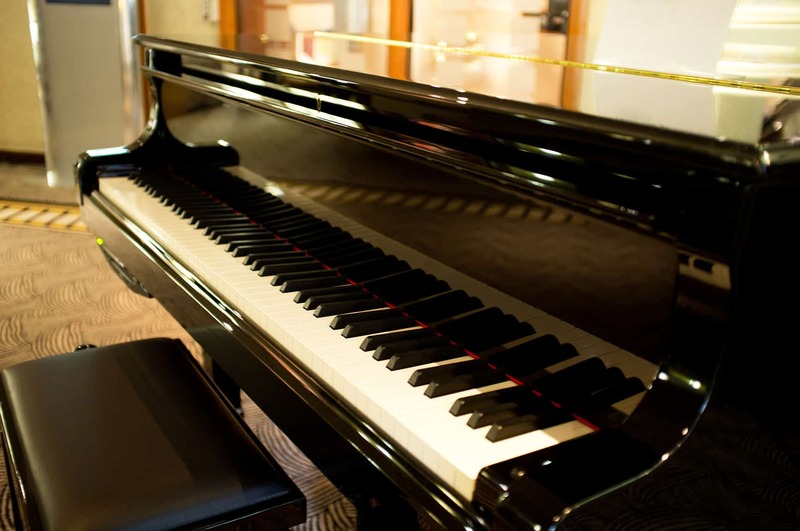 This article focuses mainly on moving a grand or baby grand piano, as these are generally the trickiest (not to mention most expensive) types of pianos, and should always be left to a professional. Fortunately, 2 College Brothers, Inc, utilizes training from the American Moving and Storage Association on how to move these types of pianos, and only our experienced piano moving team will be handling it. Look over the piano for any pre-existing damages. Note any and point them out to the customer. Survey the area around the piano. Make sure it is clear of any obstacles. You will need plenty of room for three people to move around, as well as for the piano to move freely to the front door. Because the piano will be length wise on its side, make sure there is plenty of clearance around corners. Use the screwdriver or Allen wrench to undo the hinges on the piano topper. You will want to prepare a spread out blanket off to the side. Remove the topper from the piano, and set it on the blanket. Wrap this up in the blanket using tape and stretch wrap. Set this out of the way. Do the same with the music rack and keyboard cover. If the keyboard cover does not come off, wedge wound up stretch wrap, or cardboard on the ends to hold it in place and keep it from flapping open. Place any screws, washers, or bolts into a labeled plastic baggie. This next step will focus on the bottom of the piano. We want to pay special attention to the tuning pedals, as these can be easily damaged if not properly removed and protected. Have one mover crawl under the piano, and use the screwdriver or Allen wrench to dismount the rack that supports the tuning pedals. Once these are removed, insulate each pedal with plastic wrap and moving pads. Wrap these as you did the piano topper and music rack. Make sure nothing can interfere with these as they can easily become bent, rendering them ineffective. A common mistake amongst inexperienced piano movers is to not properly protect the tuning pedals. Make sure your movers take extra care of these like 2 College Brothers does! This is where some skill and experience comes into play for a piano mover. If you were to be facing the keys, you will want to focus the front left leg. You will also be using the piano board for this segment. Place the piano board about three feet to the left of the piano. One mover should hold the front left corner of the piano, and another the back left. The third mover must un screw the front left leg, while the other two movers hold their end up. Once the leg is off, the third mover should set it on a moving pad, as he hustles around to the front right side. In a controlled movement, the front left mover lowers his end onto the piano board, while the other two moves lift their ends up, keeping as much tension off the remaining legs as possible. Once the front left end is resting safely on the board, the first mover can help to finish turning the piano onto its side, so that it rests safely on the piano board. From here, the remaining legs are to be taken off, and protected. Once the Piano is safely resting on its side on the piano board, be sure to wrap it completely in moving pads, tape, and stretch wrap. Then, buckle the protected piano to the piano board with the buckle straps. With two movers lifting, and one stabilizing, use arm straps to lift the piano onto a flat dolly. The piano may not be rolled to the entryway, with one mover in front, one mover in back, and one mover stabilizing. To get the piano over any thresholds or bumps, utilize this same lifting technique. Please note that any stairs or large steps will require at least 1 more additional mover, preferably 2. DO NOT attempt to move even a baby grand piano up stairs without the adequate manpower. Once you safely get the piano to the moving truck, use the lift gate or winch to lift the piano up into the truck. Additional manpower may be required to roll it up a ramp. Secure the piano to on of the walls of the truck using buckle straps, or heavy duty nylon rope. There is no need to remove the piano from the flat dolly as long as it is secured properly in the truck, however do put the wheel locks on the flat dolly. Once the truck reaches its destination, un fasten the piano and slowly lower the piano off the truck using the lift gate wench, or with additional manpower, the ramp. Wheel the piano to its desired location at the new destination. Unwrap it, putting all materials to the side. Using arm straps, lower the piano board off of the flat dolly and directly next to it. Essentially, you will be doing an exact reverse of steps 1-4. Screw the Back left and front right legs back onto the piano. Have one mover ready to receive the top (front right) end of the piano as it is tilted toward him. The other two movers should deadlift the front and back left ends of the piano, keeping as much tension off the legs as possible. Once upright, the mover on the receiving end of the front right must hustle around and re-attach the front left leg. Congratulations, the piano should now be resting safely upright at the new location! Simply re-attach the tuning pedals, music rack, and topper. Remove any insulation from the keyboard cover. 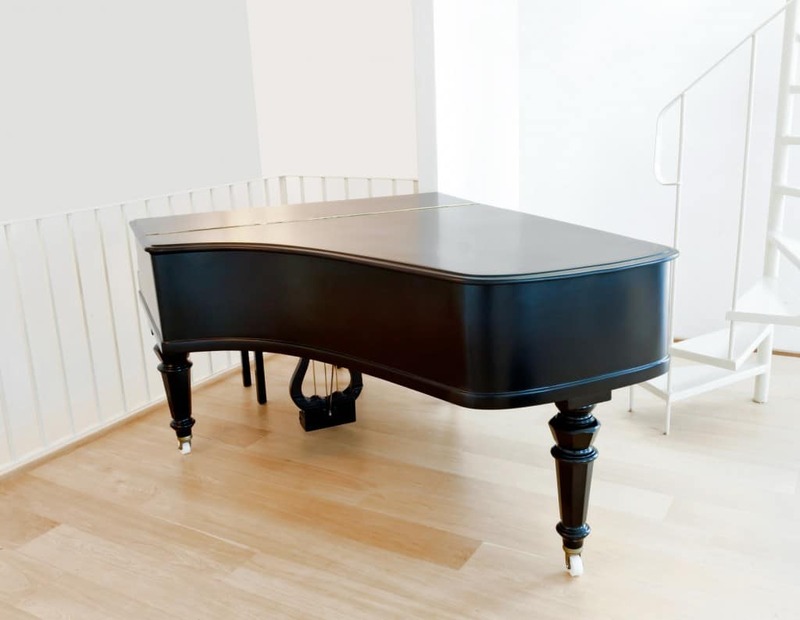 If necessary per the client’s request, move the piano to the desired location of the room by having each mover lift each end, slowing carrying the piano to the assigned spot. Do not slide roll (if it has wheels) the piano as this can damage the floor or legs. And there you have it! Moving a piano, simplified into 6 easy steps the 2 College Brothers “Master’s Degree in Moving” way! Don’t forget, we also move upright pianos, billiard tables, appliances, and gun safes! Stay tuned to hear more about how these “beasts” get moved from point A to B!